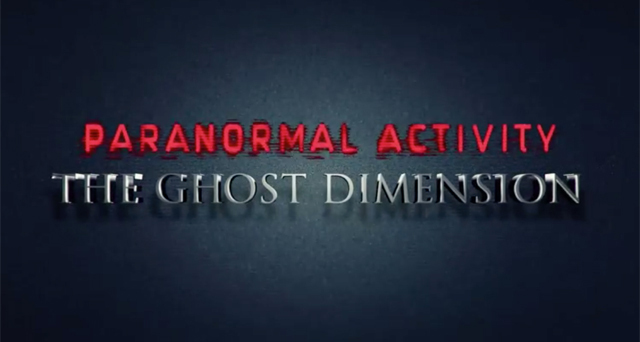 Paramount Pictures and Blumhouse Productions have released the first Paranormal Activity: The Ghost Dimension trailer, which you can watch below. Opening in theaters on October 23, the film marks the final installment of the franchise, which began in 2009 with Paranormal Activity. 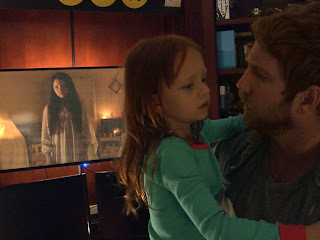 Paranormal Activity: The Ghost Dimension centers on the Fleeges — father Ryan (Chris J. Murray), mother Emily (Brit Shaw) and their young daughter Leila (Ivy George) — who move into a house and discover a video camera and a box of tapes in the garage. 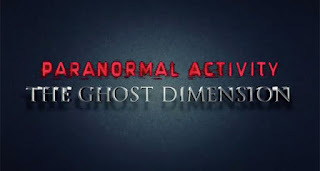 When they look through the camera’s lens, they begin to see the paranormal activity happening around them – including the re-emergence of young Kristi and Katie. The video camera footage will be presented in 3D in theaters. “All the questions that everyone has asked from the past ‘Paranormal Activity’ films: What does Toby look like? What’s the backstory to the families? These questions have been teased out. 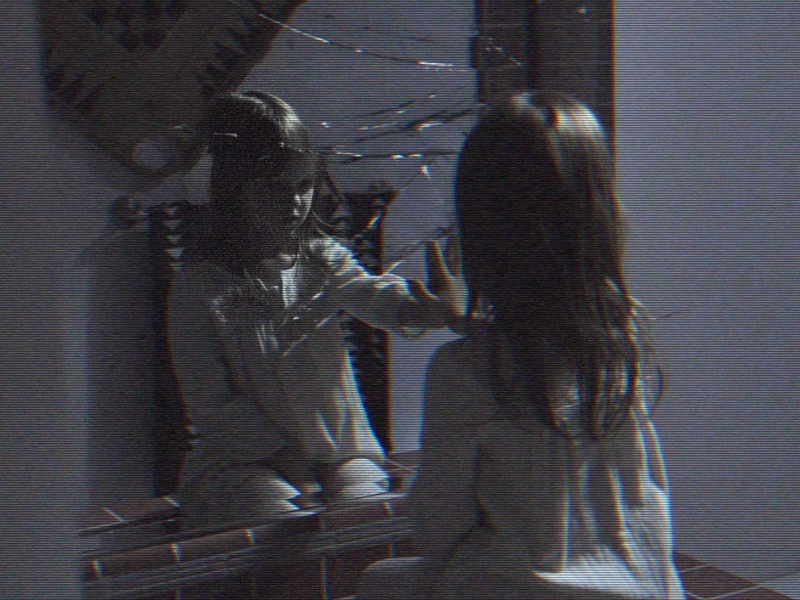 Now they will be answered,” producer Jason Blum said previously. To hear more from Blum, check out an interview at ShockTillYouDrop.com! 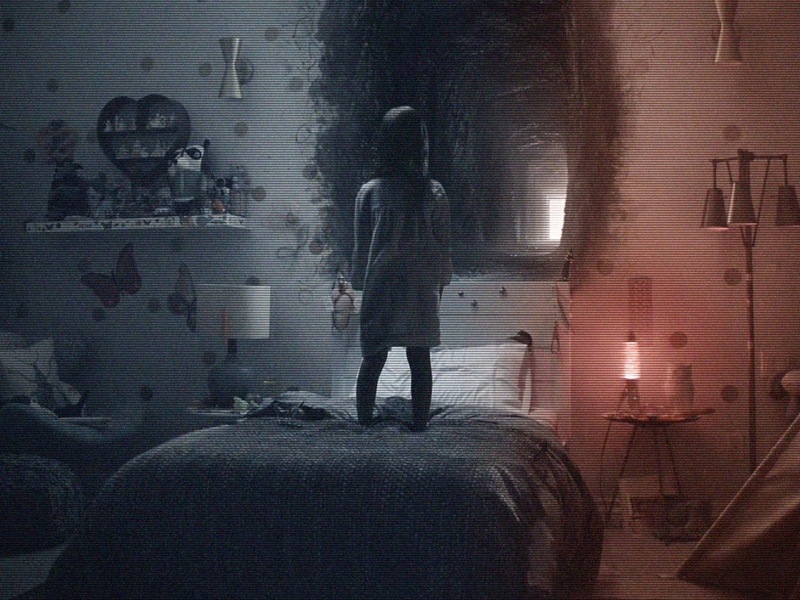 Gregory Plotkin directs The Ghost Dimension from a script by Adam Robitel and Gavin Heffernan. Oren Peli produces with Jason Blum, and Steve Molen is executive producer.